Here is some good news for all those planning to fill up at the pump this week: Gas prices are down. 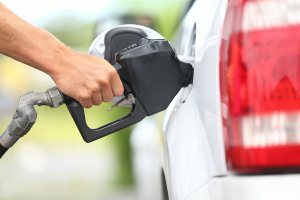 According to the U.S. Energy Information Administration’s latest report, the national average price of gasoline for the week ending Oct. 22 dropped by 13.2 cents. This is the largest week-over-week decline since 2008, said Michael Green, AAA spokesman. The average price fell to $3.648 a gallon Tuesday, which is 12 cents less than one week ago and 15 cents less than one month ago. National prices also went down for 12 days in a row, a total decline of 16.5 cents a gallon for the period. This was the longest stretch of consecutive declines since July 2, said Green. He added that this past week’s decline in the national average of gas prices has reflected lower prices in all 50 states except Alaska and Utah. This is due to regional supply concerns beginning to diminish while demand continues to weaken nationwide. Gas prices in sixteen states are more than ten cents lower this week and prices in four Midwestern states—Wisconsin, Indiana, Ohio and Michigan—are more than 20 cents lower. Prices in California dropped 19.5 cents over the past week. Average gas prices for the state are $4.399 a gallon.